One of the main goals of home decor is to create a happy place for yourself and your family. You have to surround yourself with things that have a positive impact on your mood and well being. Do your decor decisions reflect that? Having said that, it doesn’t mean you have to go on a spending spree just to prettify your place. In fact, chances are a tiny but cute DIY decor project will bring so much more joy to your home. So get your tools, stock up on materials and let’s get crafting. While these intricate pattern graphics of mandala stones look complex, they are actually quite easy to create. Get a few stones and bring some magic from the universe to your home. 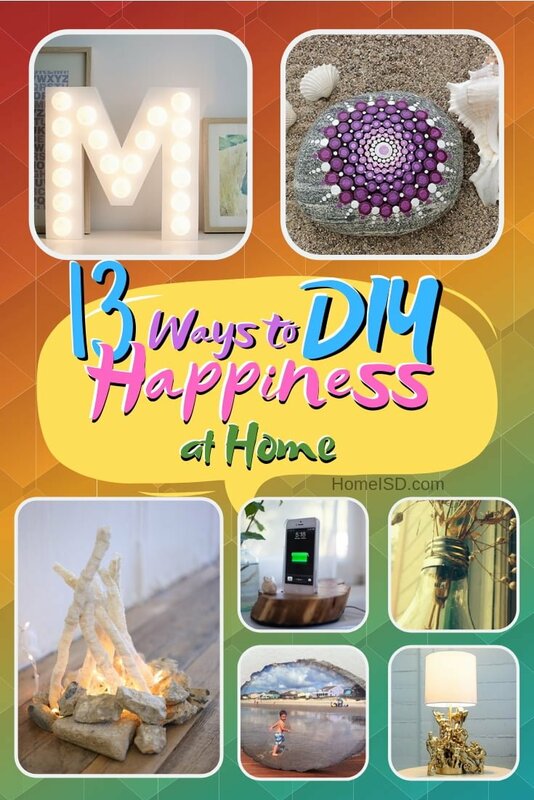 Mood lights always play a big part in creating positive vibes at home, especially when you get creative and create whimsical decor details with it. Here’s how to build a flamesless fire pit. Speaking of whimsical decor details, nothing creates more whimsy as unexpected items used in unexpected ways and in unexpected places. Here’s how to create cute little lightbulb planters. Using macrame fabrics is a great way to add texture variety to your decor and it brings a chill vibe to your home. Make these curtains for your door-less doorways. Pictures are irreplaceable when creasing a positive mood at home, bet it pictures from your travels, pictures of your loved ones or motivational posters. But framing them is just as important – add more whimsy with this photo transfer on wood technique. 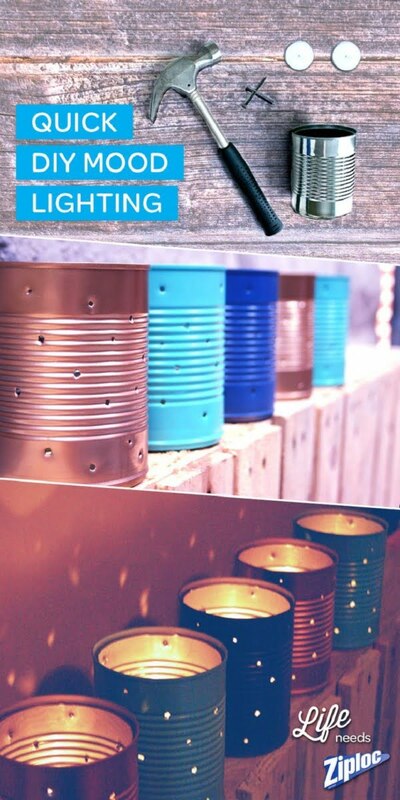 With just a few tin cans, tealights and a hammer and a nail you can build these mood lights for a quick boost in your happiness. 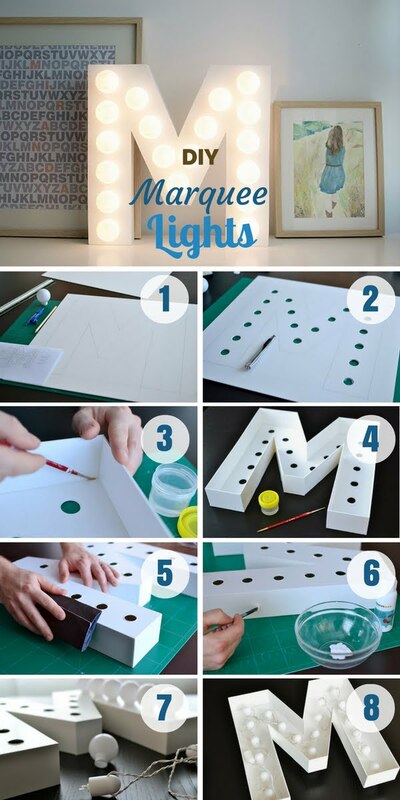 Add some fancy style to your decor displays with marquee lights. It will make your room look classy and boost your mood. Add more boho style to your decor with macrame hanging planters that you can make in nuder 30 minutes yourself. You can use this cute little fella for more than just holding your mail, keys or any small things. All you have to do us cut a tennis ball open and glue on googly eyes. This lamp looks epic and it only takes a bunch of cheap plastic action figures and gold spray paint to make. It’s one of those cases when decorating with toys totally makes sense. Having a piece of woodwork that you’ve crafted yourself is certainly a way to make your home a happier place. Why not build this wood slice smartphone dock? Catch a dream for a good night’s sleep by making a unique DIY dreamcatcher for your bedroom decor. It may or may not actually work as far as dreams go but it will certainly do wonders for your decor. 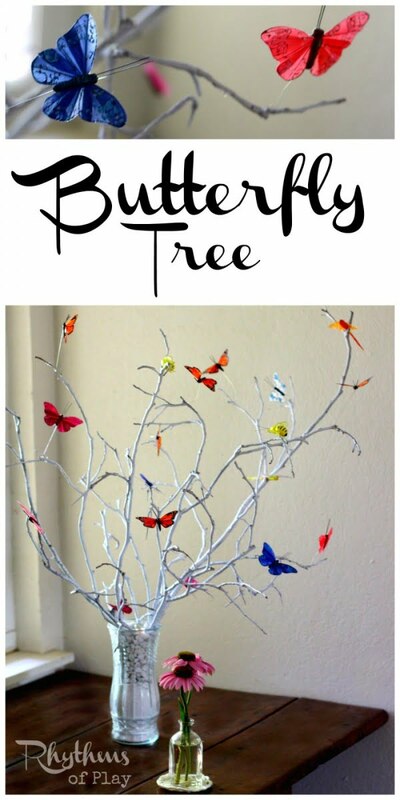 A butterfly tree may be a seasonal decor feature but there can never be enough happy mood inducing details in your home, so add it to your vignette rotation.